for temples in Korea. 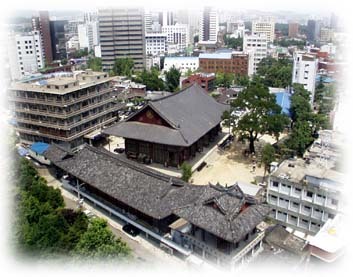 Since it was built in 1395, it became the center of Jokyejong, which is the main branch of Korean Buddhism. 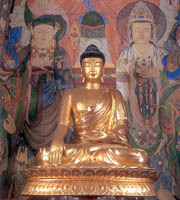 It also represents the modern history of Korean Buddhism. Among the things you should check when you make a visit to this temple are the main building, the pagoda, and the white pine tree. Moreover, the best day to visit it is the birthday of Buddha, when the temple performs a special ceremony to celebrate his birth. Hundreds of paper lanterns hang in the garden on this day, and monks and Buddhists go out to streets and parade.